Naparima MP Rodney Charles is pleading with this PNM Government to stop taking the lives of the citizens of T&T for granted and deal, head on, with the crime scourge. This comes in the wake of the brutal murder of eighteen year old Eric Ganesh on Saturday night, within the constituency of Naparima, and a stone’s throw from the Constituency office. 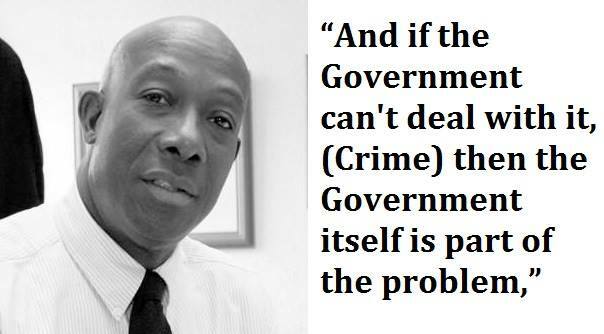 “The blame game politics by Rowley and his Ministers is getting old. When are they going to accept the fact that it is their responsibility, as the Government to, at the very least, make a serious effort to reduce crime? Will they suddenly shed their ostrich-like approach to governing, pull their heads out of the ground and jump into action in 2020?” asks MP Charles. The recent killing of Eric Ganesh follows an escalating series of crimes, specifically murders within the constituency. Two months ago, an unidentified male body wrapped with garbage bags, cloth and linoleum was found in the Ste. Madeleine pond. Earlier this year, Ste. Madeleine police officers found the body of a 24 year old, PH driver Richard Beharry, in a white Nissan AD wagon that was partially submerged in the Ste. Madeleine Usine pond. Last year, Vishnu Narine, a Canadian citizen’s body was found dead close to the Ste. Madeleine Usine Pond. This murder made news in nearly all national and Provincial media in Canada. One also remembers the brazenness of the lone gunman who walked onto the compound of the Jordan Hill Presbyterian Primary School and stole the car of a teacher. “How many of these murders have been solved? The once peaceful constituency of Naparima is becoming a frightening place. This shows the declining state of crime within our country. There are no longer any hotspots. The whole of Trinidad is a hotspot”, says Charles. This PNM administration has become a case study for ineffective, hopeless, extempo, and clueless governance. They have blamed the police, the public service, the PSC, the Parliament, the country, the Opposition and everyone else. 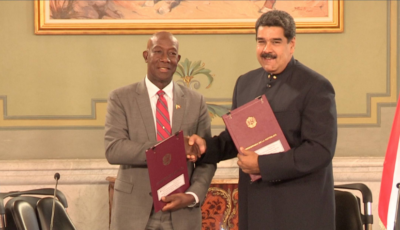 When will this incompetent PNM administration finally blame themselves since they claimed, prior to September 2015, that they had the solution. To date the much extolled Anti-Gang legislation has not produced any results. This Rowley-led Government must do their job and weed out the rogue element of the police force, improve police response times, increase detection rates, reduce overcrowding in our prisons, provide enticing alternatives for our “at risk” inner city youth, and improve support agencies across the board.